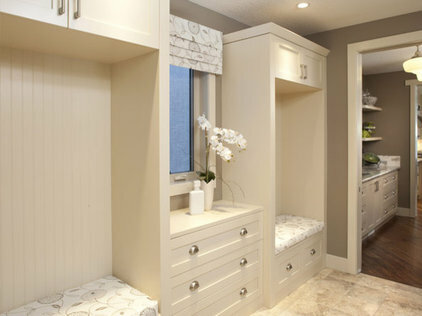 Q1 – Which room do you wish to make over? Q4 – How important to you is luxury in that room? Q5 – How important is the cost of the flooring? Cut-pile carpets are perfect for bedrooms or lounges where comfort and luxury is paramount. 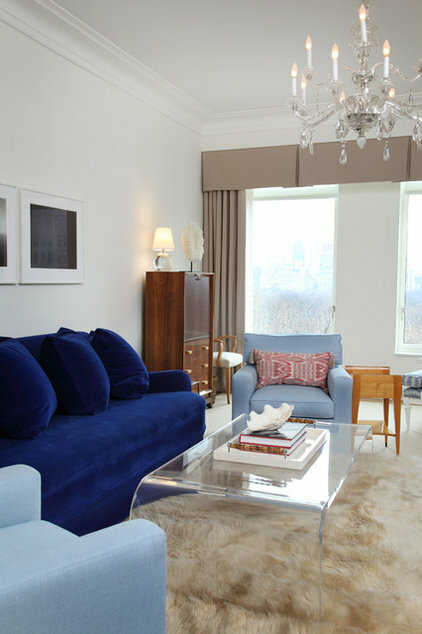 Their deep, thick pile adds super-soft comfort underfoot with a plush texture that oozes sophisticated indulgence while insulating against cold. They also absorb sound, adding peace and tranquility and improving the acoustics of a room. They’re also perfect for home theatre systems, kids bedrooms or studies where you want peace and quiet. Be sure to select the correct grading for the amount of intended traffic in that area. A quality underfelt or carpet cushion will increase the underfoot comfort of your carpet and help prevent wear. Belgotex Vinyl’s luxury vinyl tiles are vinyl planks laid side by side to recreate the warm, natural look of real wood without the noise, durability or cleaning concerns. Perfect for dining areas, hallways lounges and even slick, sophisticated bedrooms, their smooth, sleek surface is totally waterproof and easy to clean, giving you all of the luxury without the labour! An attractive, affordable alternative to hardfloorings such as laminate or tiles – they absorb sound better, and are warmer than tiles. Ideal for high traffic areas, Belgotex Carpets’ loop pile carpets add warmth and durable good looks for hallways, TV rooms, studies and stairs in busy households. They offer both comfort and convenience, with practical, pebbly loop textures disguising everyday dirt and soiling until the next vacuuming, whilst simultaneously being comfortable and warm enough to sit on. Belgotex Carpets’ modern hi-tech yarns such as Stainproof Miracle Fibre, guarantee peace of mind against inevitable stains or marks. If smooth, fashionable surfaces and convenience are key, then Belgotex Vinyl’s affordable cushioned vinyl ranges such as Woodmark or Luna are ideal for you. Water-resistant and insulating with a comfortable soft feel underfoot, cushioned vinyl is a practical, hygienic solution for kitchens, bathrooms or living rooms. Recommended for young families or frantic professionals with no time to waste, it’s available in various popular faux wood colours and finishes, hygienic, scratchresistant with a protective wear layer that’s slip-proof too. Please note: this measurement advice and calculator serve as a guide only. Please ensure that a professional fitter comes and physically measures the areas to be carpeted in person. Draw a diagram of your room/s. This does not have to be to scale, but should be a fairly accurate representation of the area. If you’re measuring a room with no recesses, foyers or additional corners, there will only be one width and one length to measure. However, if you have a room with one of the peculiarities mentioned, measure the shortest length or width and use that as your base. Multiply the width and length to get the main area measurement. If the room has no recesses or angle, you can stop here. This is the measurement of the total floor area, and can be captured in the middle of your drawing, or inputted into the calculator on this page. If you are measuring an additional square or rectangular recess, measure it as if it were a small room. Take the length and width measurements, and multiply them together to get the total area of the recess. Measure the longest width and length of the recess (usually through the centre) up until the edge of the main area, which you already measured. Cut the length in half, and multiply your answer by the width, then by pi (3.14). This will give you the area of an entire ellipse, but remember that only half of the ellipse extends beyond the border of the room, so divide the area in half. Add all the areas together to get the total floor area. maintenance consists of the right combination of vacuuming, stain removal and cleaning. can often be used independently from your vacuum cleaner and is available as a separate item. The process of removing the protruding woolen fibres is a lot slower if you use a smooth suction tool. There is also a chance that the loose fibres will stick to the carpet’s surface and will start felting. appearance of your carpet deteriorating. Experience has shown that a few simple steps can prevent a great many problems. agents and wax from hard floors can be spread around by footwear and damage the carpet’s pile. instructions are followed correctly the removal of stains rarely causes problems. A quick response can prevent many problems. to the structure which will remain visible after the stain has been removed! it out, wring it out, and replace it on the stain. irreparable damage to your carpet or interior (e.g. moisture from cleaning that affects your furniture). there are no soap residues left behind in the carpet. Carpets are more affordable than you think. We can carpet an average home ±100m² in one day. No mess. No fuss. Carpets are all eco-washed & scotch guarded (or similar) at manufacturing, giving you added benefits. Most carpets are stain-proof – 50% household bleach & water solution will remove nearly any stain without discolouring your carpet. Carpets have between a 5 year & 15 year wear resistance guarantee & defects guarantee. Carpets have orthopedic benefits, provided by the soft cushion of carpets & underlay. Carpets are a great insulator & will reduce your heating bill in winter. Carpeting has great acoustic features, helping you to enjoy spaces with minimum distraction. The average person replaces their carpets every 10 years, as opposed to laminate wood flooring, where customers replace their floor every 8 years. 90% of all carpets in South Africa are locally manufactured. Of all the types of window treatments available, wooden Venetian blinds are some of the most impressive. These were also some of the original models available. While wooden Venetian blinds are a great choice for many rooms, they may not be the perfect choice for all consumers. Here are some advantages and disadvantages to choosing wooden Venetian blinds. The best reason is their look. Because of the rich beauty of the wooden slats, they add an elegance and luxuriousness to almost any room. The wood itself is available in a wide range of colors which means it can match almost any furniture or hard wood floor choice. 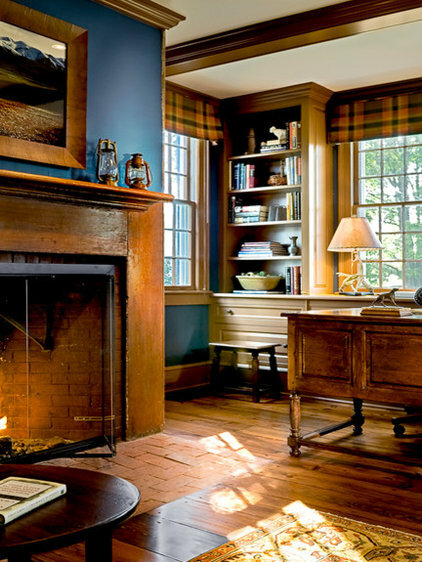 You can also pick lighter or darker woods depending on the feeling you want in the room. 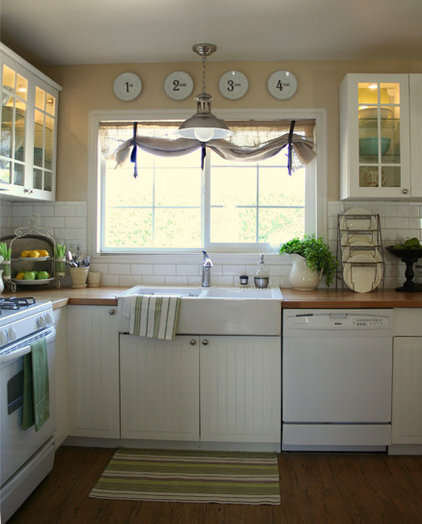 Also, wooden Venetian blinds are a great choice because they are truly unique and natural. If you’re tired of the overly commercialized perfection in most window treatments, you’ll love that no two slats are going to be identical. As in nature, nothing is identical. Although the slats come from the same wooden pieces, that’s no guarantee that the colour or design of the slats in your wooden Venetian blinds will be identical. The biggest reason not to consider choosing wooden Venetian blinds is the price. Generally, this type is the most expensive of all the blinds available. You want to pay more for the highest quality product available. However, if your budget is limited you might want to look at alternatives first. Another reason is that wooden Venetian blinds can be a challenge to keep clean and to keep safe. Although trees don’t seem to have much durability trouble, wooden Venetian blinds have a tendency to be damaged a little easier than some of the alternatives on the market. The good news is you don’t necessarily need to invest in wooden Venetian blinds to get the look you want, aluminium blinds are a great alternative. Remember if you do decide to choose the real wooden Venetian blinds, you’ll definitely be making a powerful and beautiful statement in any room in your house. No one will be able to ignore these window treatments and that’s one of the biggest reasons people choose them for their homes, despite some of the minor disadvantages. Consider having wooden made to measure treatments created for your windows instead of trying to purchase them ready made. You’ll get better fitting results and that’s definitely important. And keep in mind that you’ll to take excellent care of them so they’ll last as long as possible. Choosing made to measure Venetian blinds can be a wise decision for many reasons. Besides the obvious sizing benefits, having your blinds customized in this way has other great benefits that are worth considering even though the costs are usually a bit higher than for ready made window blinds Venetian. One of the biggest benefits of made to measure Venetian blinds is that you can be guaranteed to have the right size blinds available for your specific windows. With today’s windows coming in so many different sizes and shapes, this has become increasingly important. If you have a beautiful bay window or an arched window or even a very small window in your bathroom or kitchen, you probably won’t be able to easily find readymade blinds to buy in the store. That means you’ll need to order made to measure Venetian blinds. The good news is that many companies that specialize in made to measure Venetian blinds do not charge you for coming to your home to take the necessary measurements. If that was an extra cost you didn’t want to end up paying; now you don’t have to worry. Besides the great sizing benefits of choosing made to measure Venetian blinds, you can also customize the blinds to meet your specific needs because they are being made for your particular windows. For example, you may not be able to find lime green blinds at your local store to fit that window in your child’s bedroom but if you choose made to measure Venetian blinds you can have them designed in whatever colour you choose and from almost any material you choose (not all colors may be available for all materials, such as wood). Some companies, such as Web-Blinds.com, even allow you to customize those made to measure Venetian blinds even further. For example, the company will allow you to submit a photograph that can be placed on the blinds of your choosing. That could be a photo of your family dog, a picture of a sunrise for your kids’ playroom, or almost anything else that you would love to see displayed permanently on the blinds in your home. Even if you don’t have a photo you would like to use in your own digital library, the site has their supply of choices available that can be used as well. Imagine having crayons, dolphins, or even roses as a decoration in your home. If you want something unique for your home or if you already have a unique-size or style window in your home, then made to measure Venetian blinds are going to be your best choices for window treatments. You can choose the size, design, and color of your blinds easily and without paying more for a sizing visit from many company’s representatives. Made to measure Venetian blinds are definitely great choices. The are many Blinds available today, this article looks at some of the more popular. In the coming weeks Sensational Blinds and Flooring will add more blinds and discuss the merits of Motorised Blinds which are becoming increasingly popular. The most common window blinds are slat blinds, which consist of many horizontal slats, usually of aluminium (metal) or vinyl, connected with string in a way that they can be rotated to allow light to pass between the slats, rotated up to about 170 degrees to hide the light, or pulled up so that the entire window is clear. Vertical blinds consist of slats of stiffened fabric, plastic, or metal hanging by one end from a track; like the horizontal versions, the slats can be rotated 90 degrees to allow light to pass through or to fold up on one side of a door or window. Vertical blinds are very good at controlling how much natural or exterior light comes into a room, due to the ability of the slats to close tightly. A Venetian blind (or venetian blind) has horizontal slats, one above another. Venetian blinds are basic slatted blinds made of metal or plastic; wooden slats are sometimes used but in the US these are now usually referred to as wood blinds or bamboo blinds. They are suspended by strips of cloth called tapes, or by cords, by which all slats in unison can be rotated through nearly 180 degrees. The slats can be rotated such that they overlap with one side facing inward and then in the opposite direction such that they overlap with the other side facing inward. Between those extremes, various degrees of separation may be effected between the slats by varying the rotation. There are also lift cords passing through slots in each slat. When these cords are pulled, the bottom of the blind moves upward causing the lowest slats to press the underside of the next highest slat as the blind is raised. A modern variation of the lift cords combines them with the rotational cords in slots on the two edges of each slat. This avoids the slots otherwise required to allow a slat to rotate despite a lift cord passing through it, thus decreasing the amount of light passing through a closed blind. Slat width can be between 16–120 mm, with 25 mm being a common width. Unlike horizontal blinds, vertical blinds are less likely to be damaged in strong winds and to hold dirt, but are more likely to break down. Generally they require less muscle strength, and are faster to operate. Stationary vertical blinds are hung in the doorways of some homes and businesses which generally leave the door open. Movement of the blind may signal a change in air flow, or someone entering the doorway. More commonly however, these vertical blinds are made of thick plastic. In the cold rooms of food businesses, this slows the heat leakage into the cold room. In warmer climates, vertical blinds discourage flies and some other insects from entering the building. 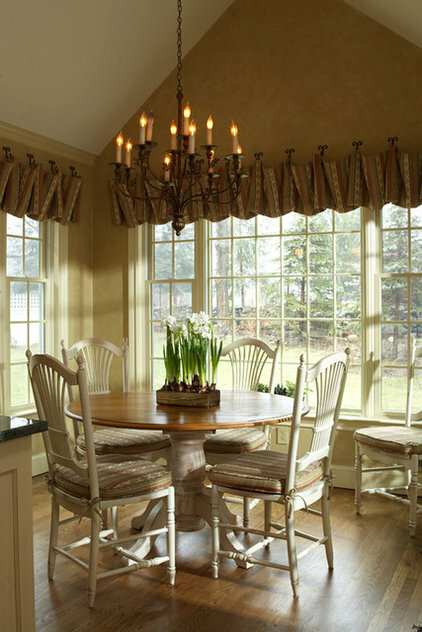 Versatile fabric valances in a variety of styles can add that extra finishing touch to windows in every room. A short length of decorative drapery, valances are often hung above windows to disguise curtain rods or simply give a space polish.From super simple to extremely customized, these treatments can be installed on formal picture windows, on functional doors and even above beds. Use a valance alone or combine it with draperies, horizontal blinds, cellular shades or shutters to create the look that works best with your home. 1. 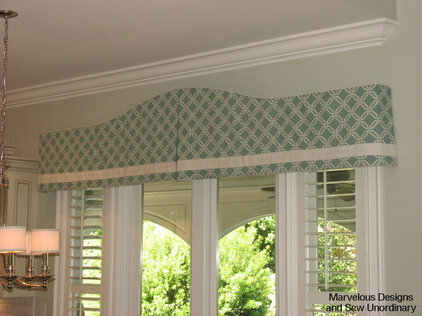 Box-pleated valance.This photo illustrates a formal box-pleated valance with corner and center pleats. The fabric valance covers the bar for the matching draperies underneath.Styling tip: This crisp treatment is great for master bedrooms and living rooms when a more formal feel is needed. 2. Arched valance. An arched valance is a highly proportioned, decorative fabric valance with a top arch and center pleat. The bottom of the valance has a coordinating band of fabric for an accent.Styling tip: Use this stylized valance to break up the hard horizontal and square edges often found in kitchens and breakfast rooms. 3. Rolled valance. 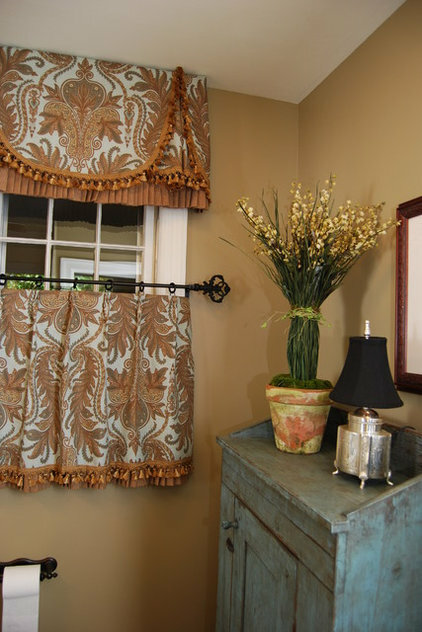 This valance can do double duty as a curtain when necessary. A very cottage chic treatment, a rolled valance is made of fabric that’s simply rolled to the desired height and supported by contrasting ties. Use bows or knots in the material of your choice to dress it up or down.Styling tip: With a quick change of material, it’s simple to make this casual, formal, modern or traditional. 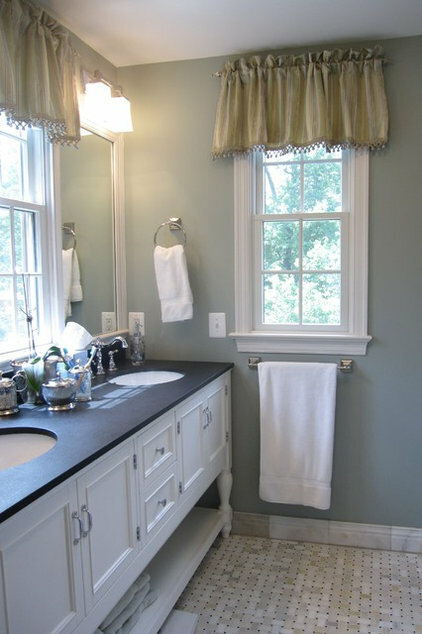 A rolled valance is also an inexpensive and easy DIY window treatment. 4. Stepped valance. High contemporary design meets elegance with this straight-edged valance, which has several tiered fabric heights to create a stepped appearance.Styling tip: Carry the valance from window to window in a room — or even across cabinetry — to create a visual bridge for the eye to follow. 5. Ring-top valance with jabots. This strategically placed valance has top and bottom scalloping that is symmetrically gathered to create a center fold, known as a jabot. The bottom hem of the valance and the jabot are adorned with a decorative beaded fringe. For a traditional style, this valance was installed on a drapery rod with sewn-on rings.Styling tip: Using a drapery bar with finials and rings can help add those extra details that may be missing in your home’s architecture. 6. Gathered valance.This very traditional valance is made by using twice the needed fabric width to create the gathered effect. Decorative fringe on the bottom of this valance adds extra flair.Styling tip: When choosing coordinating or contrasting fringe, consider using a fringe that has glass or crystal beads to catch the incoming light from the window. 7. Sculpted valance. This architectural valance blends a bold style with modern ease. The bottom hem, which can feature several geometric patterns, supports a contrasting band to accent the cutout. In this room, the same valance is used again over the bed to maximize drama.Styling tip: When designing your own sculpted valance, coordinate your fabric color with the room’s paint color. You will want this highly dramatic valance to accentuate, not to define, the room’s decor. 8. Balloon valance. Extra fabric is cinched proportionately at the ends to create a balloon valance. In this room, the traditional style is installed on a decorative drapery rod with finials and bottom fringe for a refined look.Styling tip: Use a heavily gathered bead skirt to provide balance between the two flanking window treatments. 9. Straight valance.Simple and minimal, the basic straight valance can help soften a room’s hard edges and is easy to design and install.Styling tip: Your valance should hang between 16 and 21 inches, depending on the height of your window. 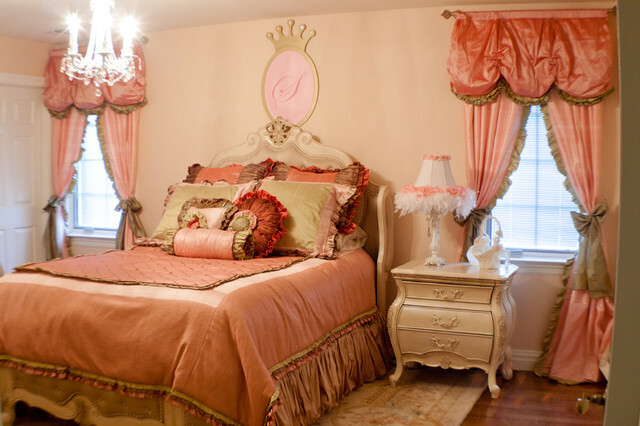 A valance that is too short or too long will distract the eye. 10. Tie-top valance. This carefree valance often is done in a lightweight fabric that’s hung with ease over a simple rod. 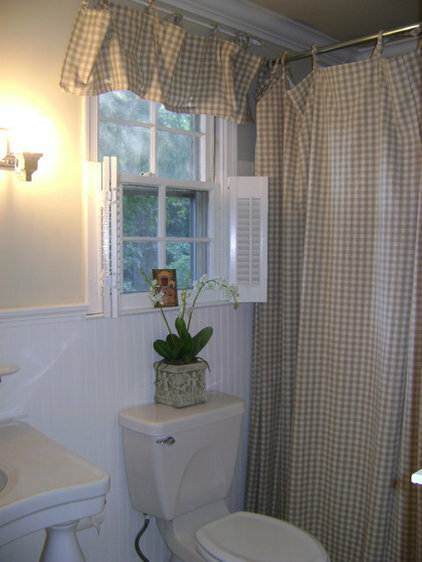 Tabs made out of the same fabric were sewn on and used to hang the valance in this photo for a more put-together look. The matching shower curtain is attention to detail at its best.Styling tip: For just the right fullness when using this type of valance, double the length of your fabric measurement. 11. Valance with cafe curtain. 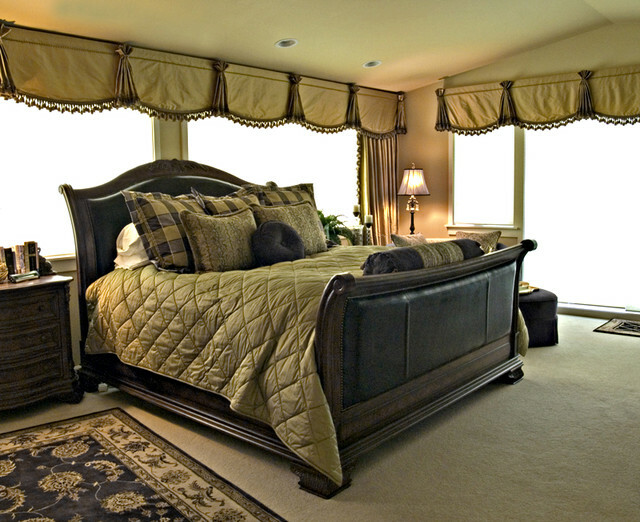 Combine a highly stylized valance with a cafe curtain in a coordinating fabric for a traditional, layered look. The combination provides the style of heavy draperies while still allowing for light and privacy.Styling tip: When selecting a rod and rings for the cafe curtain, be sure to coordinate with the other metal finishes within the space. 12. Queen Anne valance. This dramatic valance has a horizontally set cord detail near the top and a scalloped bottom edge with fringe. Each flat space is divided by a fan pleat for a Victorian feel. In this space, matching functional draperies are pushed to the side for needed privacy.Styling tip: To completely coordinate your draperies into your space, try adding the same fringe from your valance around the edges of your comforter or duvet cover.